Hard work, over training, accidents, and age are common sources of severe short-term and long-term body pain and serious injuries. Men and women who participate in sports are the ones often paying the steepest price, but even things in everyday life can cause back and neck issues. When pain starts to affect your productivity, getting immediate chiropractic treatment is imperative. The first step in healing, is to understand where the pain is coming from and what caused it. Back pain, neck pain, shoulder pain, and leg pain are common complaints that will put you in a position to choose the appropriate next step. Self-diagnose and medicate; call your local general practitioner, or consult a back or neck specialist. This may have led you to find a chiropractor on the internet and search “chiropractor near me” which brought you to Gould Chiropractic. The professional opinion of a local chiropractor is both convenient and may solve the problem quicker; not to mention that a chiropractic adjustment will give you immediate pain relief. Centrally located in the San Fernando Valley, we are conveniently located minutes from Northridge, Canoga Park, Porter Ranch, West Hills, Bell Canyon, and Woodland Hills. If you seek the best chiropractic treatment in the valley make sure to contact us today! The lower and upper back, including the neck are common places for unexplained pain. Lower back pain and upper back pain need professional chiropractic treatment, some stretching exercises helps temporarily lessen the sensation, but the pain usually comes back after a short while. Back pain is one of the hardest pains to ease, since the spinal region is one of the most prominent areas of the body. Sometimes identifying what is triggering the back pain is challenging. If taken for granted, the back pain could get more severe and the damage may become permanent. More critical conditions like sciatica (slipped disc), arthritis, spinal fracture, and infection also count as major causes of severe back pain. Sitting for long periods of time without regular exercise to release the tension. Pain that covers a wide area on the back including the neck and shoulder may be due to whiplash. “Sports injuries” are injuries that happen when participating in sports or just simply exercising. Some are caused by accidents, while others can be caused by poor training practices or by not having the right equipment. A common reason some people get injured is that simply they are not in proper condition to be exerting so much energy. Not properly warming up or stretching enough before you exercise or play sports can also lead to sports injuries. No matter the injury, you will need good sports injury treatment by an experienced sports chiropractor. Recently the new Crossfit exercise and training craze has caused various types of injuries. But, it doesn’t take an extreme sport to bring on injuries, we treat many for golf related sports injuries. There are two kinds of common sports injuries: acute and chronic. Acute injuries are recent injuries that have happened in the last 10-15 days. Acute injuries occur out of nowhere, almost suddenly when playing sports or exercising. Acute injuries usually come in the form of sprained ankles, strained backs, and fractured hands. A bone or joint that is visibly out of place. Chronic injures take months and years to properly heal. They will bother you if not treated properly. The body takes time to heal any type of sports injury. Medication and chiropractic therapy work wonders when the going gets tough. Patients who shy away from pain killers will find a friend in your local chiropractor. An injury in the neck resulting from forceful movement is called “whiplash”. Rear-end car accidents often creates an impact that causes whiplash, but other forms of car accident trauma could also be blamed. Whiplash can also be caused by a violent sports collision or bicycle accident. 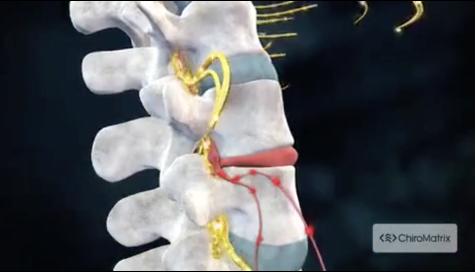 These types of back and neck traumas might require emergency chiropractic whiplash treatment. Be careful, because symptoms may not manifest right away, which makes it hard for people to get proper immediate care they need. With proper medication and advanced chiropractic treatment, it usually takes a few months to recover from whiplash or other similar neck injuries. More severe cases of whiplash will sometimes cause others pain that can last for several months, even years, and other long-term complications. Whether the back or neck injuries are caused by accidents, sports trauma, or some type of long term condition, patients should seek the medical advice of a proven specialist. You need the appropriate chiropractic therapy to minimize any potential long-term effects. Some of you may consult the internet to self-diagnose your injury. This helps if you are led down the right path. But more often than not consulting sites like WebMD or Google will have you self-treating injuries you don’t have. This usually leads to making the injury worse or extending time it takes to heal. There are several treatment options available; physical therapy, over-the-counter pain medication, consult with your general medical doctor, but for back and neck injuries a local chiropractor proves to be highly effective. Better or overall health, because medications can have an effect on a person’s kidneys, liver, and abdomen. Chiropractic therapy has been around since 1897, and the number of people treated by chiropractors has grown over time. Over 27 million Americans seek chiropractic therapy every year; proving that the specialty treatment works. Apart from the usual chiropractic adjustments, chiropractors, as well as osteopaths, also use a spinal decompression table on patients with back and neck pain. This advanced chiropractic method is one of two most common techniques chiropractors use, the other being spinal manipulation. Many chiropractors recommend using a spinal decompression table because it aids in some advanced chiropractic adjustments that can’t be achieved on a flat table alone. It helps decompress damaged nerves and relieve the pressure from the joints in the spinal column, which occur with herniated or bulging discs and spondylosis. High-Intensity Laser Therapy (HILT) is also recently becoming a popular method for pain management. Chiropractors recommend this to patients who are trying to avoid invasive solutions, because this treatment methods unique ability to penetrate through the bone, muscle, and soft tissue to deliver the healing light energy directly to the damaged cells in your body. This state-of-the-art healing machine is now used at Gould Chiropractic to help treat your injuries. The overall health and well-being of our patients is our number 1 priority. This is the reason why we go to great lengths to make routine chiropractic care convenient and affordable for all. The licensed chiropractors at Gould Chiropractic will perform a full exam. [in order to correctly diagnose a condition and determine the best treatment plan to take care of the problem] Since this recommendation will vary from person to person, Gould Chiropractic offers many different plans that are both affordable and convenient. Once you have experienced the restorative benefits of a manual chiropractic adjustment, we're confident you'll wonder why you didn’t come visit us before. For those of you without chiropractic treatment insurance coverage and want to keep your chiropractic costs down, Gould Chiropractic offers cash-based plans that are both affordable and convenient without the hassles of insurance billing, copays, deductibles, or declined reimbursements. An affordable chiropractic clinic, we make sure our patients leave the clinic with less pain and happy. Due to the recent changes in health insurance coverage we were inspired to offer a special $59 cash membership fee. The bottom line here is getting relief from your back or neck pain, when looking for a local chiropractor near you, find the best chiropractor with a proven track record. Please read our stellar Yelp reviews. We offer everything from family chiropractic services to urgent emergencies that require immediate care. Gould Chiropractic is a reputable name that delivers safe results from our chiropractic therapy using the most advanced chiropractic methods. Contact us and book your chiropractor appointment now! For more information or to schedule an appointment with our Chatsworth chiropractor, call 818-718-9700 today! Dr. Ross Gould DC is a chiropractor serving Chatsworth and the surrounding communities. Our chiropractor and the rest of the friendly team at Gould Chiropractic are dedicated to chiropractic solutions to target your unique needs, whether you are suffering from back pain, neck pain, headaches, or even just plain old muscular tightness and tension. You may need pain relief after suffering an accident, experiencing an injury, or if you have a specific condition such as chronic back pain or a spinal condition; even if you just want to improve your overall health, our chiropractor can help you achieve your wellness goals! Please visit the testimonials page to see what our patients are saying about our Chatsworth chiropractor and getting regular chiropractic treatments. At your first visit to Gould Chiropractic, Dr. Ross Gould DC will explain the science behind how chiropractic care works, and give you a full evaluation to see if chiropractic care is right for you. If there is a good fit, we can develop a plan of chiropractic care that is specific to your condition and health goals. If you are new to seeing a chiropractor and want to find out more, please email us or call 818-718-9700 to receive personalized answers to your questions from our friendly team. We also welcome referrals, so we invite you to share our chiropractic and wellness information with your friends and loved ones. "I went to Dr. Gould yesterday, I was in so much pain and my normal Dr. wasnt available to help me. I was very stressed out thinking Omg I have to find a new Dr. to help me. Iam very happy that I did try Dr. Gould he explains the procedures to you and what he can do to help your body out of pain. I really liked the set up of the office, its very nice easy to get through and a very nice place to go when your in pain. His whole staff is very nice and friendly. Dr. Gould himself also goes the extra mile to explain how to stretch your body in the morning for the back problems. Thank you again for your help."